Bloggers attending the meeting in Ha Noi on August 25, 2013. 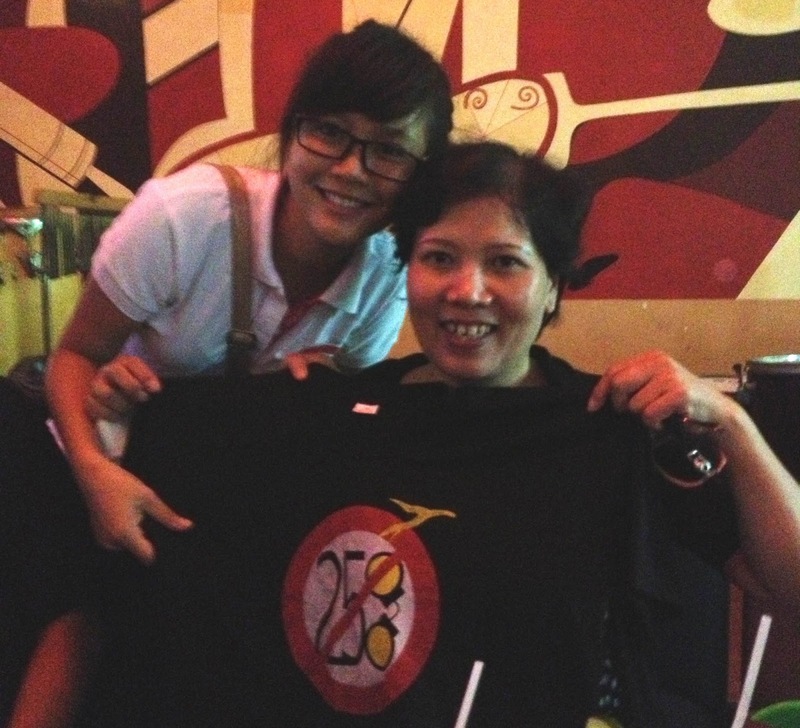 The bloggers in Hanoi who signed Statement 258 today came together in a special meeting, Café 258, where they discussed recent activities of the Network of Vietnamese Bloggers in the 258 Campaign. 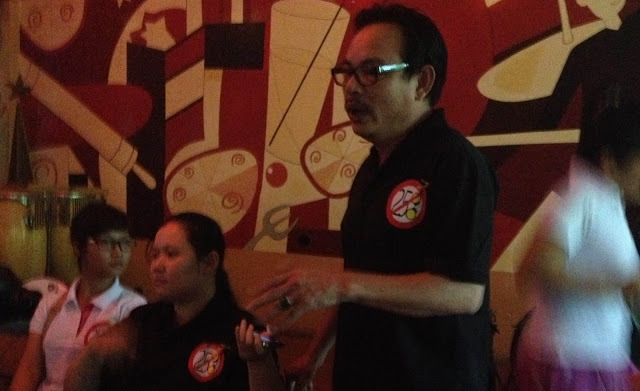 During the meeting, the bloggers focused on analyzing the Network’s strengths and weaknesses. 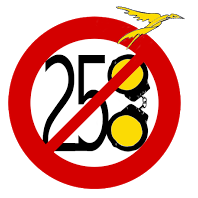 They also considered ideas and proposals to promote their 258 Campaign and basic human rights in Vietnam. Facebooker Hư Vô Đào Trang Loan and blogger Phương Bích: Abolish 258. 15h00: Bloggers shared their experience of visiting embassies in Hanoi in preparation for other trips in the short time to come. 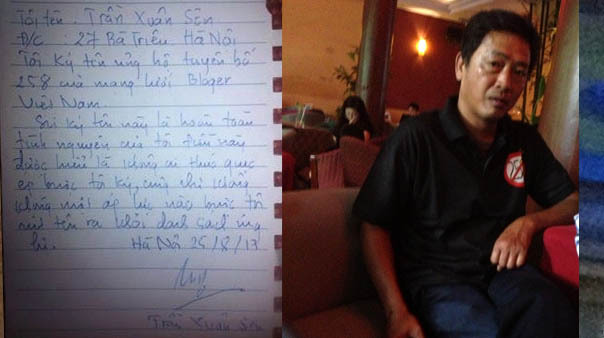 14h45: Approximately 30 bloggers in Hanoi came to café Win for the meeting, said Sai Gon blogger Nguyen Hoang Vi, who has just flied to Hanoi to join the Network’s meeting with Australian Embassy. Right to left: Facebooker Lê Thiện Nhân, Đào Trang Loan, Nguyễn Đình Hà – those who handed Statement 258 to the Swedish Embassy and the Australian Embassy. 14h30 : The bloggers began their discussion. 14h00: Several bloggers signing Statement 258 have arrived at café Win, 94 Láng St., Hanoi, for the meeting.